Attention! 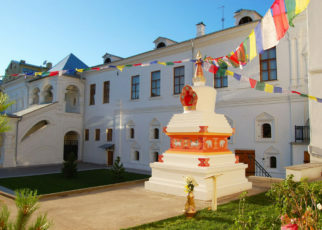 Uncontrolled plundering of the Roerichs’ heritage, handed over by Svetoslav Roerich and other donors to the International Center of the Roerichs (ICR), began. It began under a cloak of silence of cultural and scientific community, with full connivance, and often with the approval of state officials. 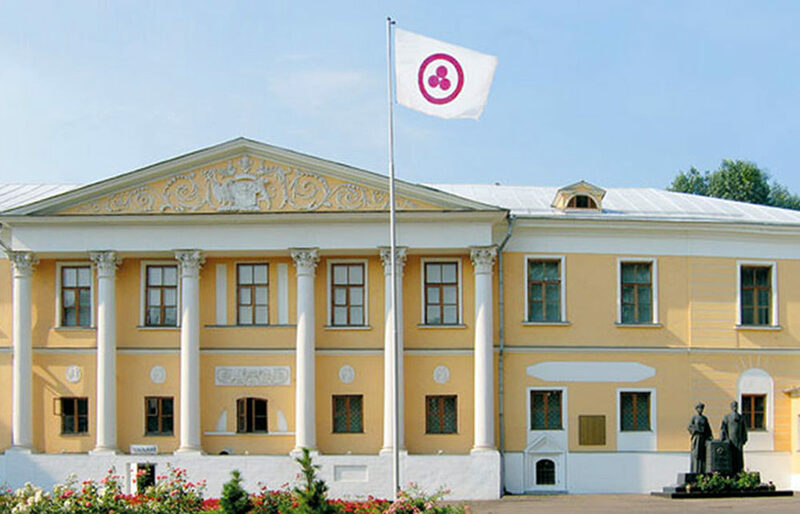 We have already stated more than once that the destruction of the non-governmental Nicholas Roerich museum, which is an internal subdivision of the ICR, could not have happened only on instructions of the Ministry of Culture of Russia, since neither the tax inspection, nor the courts, the Interior Ministry, the Prosecutor’s Office or Justice were not subject to this agency. Nevertheless, these are they who became the instrument that allowed the robbers to achieve their goals. 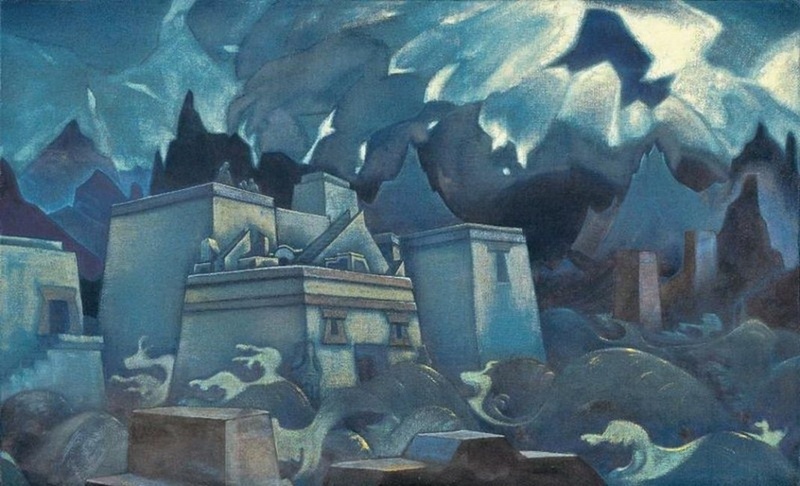 Approximately the same thing occurred in the 1930s in New York, when the first Nicholas Roerich Museum was destroyed. 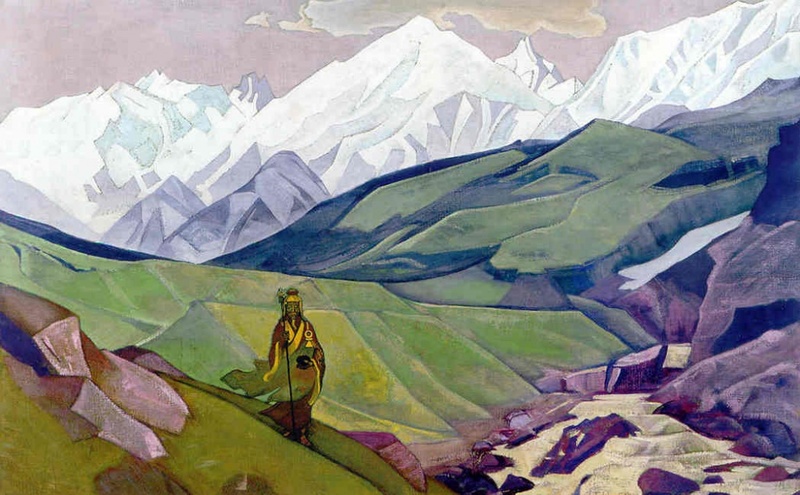 At that time L. Horch, the crook, under the patronage of senior government officials, won all the courts and sold off the paintings of the Museum’s founder Nicholas Roerich. In this manner, the first part of the Roerichs’ heritage was lost for the world culture. The same thing, only on an even larger scale, is happening today in Russia with its remaining part. Unfortunately, the Ministry of Culture recently gave us a lot of evidence that it acted in the interests of not people, but business elite and officials who are also major collectors playing significant roles both in the domestic and the world market of cultural values. By the way, the illegal trafficking in cultural artifacts takes the third place to drug dealing and arms sales . During this time, these dealers developed a lot of criminal and semi-criminal schemes, but the Ministry of Culture seems to invent their own way. It is enough to recall the blatant attempts to withdraw works of art from state museums in order to transfer them to private hands (the story of the icon “Angel with Golden Hair”) , appointment of businesspeople and governors to Museum directors’ posts , the collapse of the Grabar Restoration Center’s activity from within , the removal of antiques abroad  and, finally, recent amendments to the law on the Museum Fund of the Russian Federation . 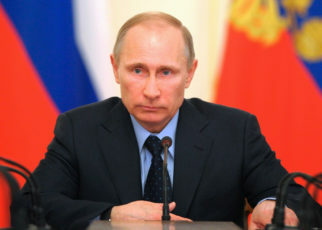 Thus, all conditions for plundering the people’s property in Russia are created in Vladimir Medinsky’s office. In this situation, the Ministry of Culture could not be expected to protect the Roerich heritage. It is no secret that there are a lot of big collectors interested in obtaining priceless paintings of the Roerichs in their property. Perhaps, among them there are those who took part in plundering the apartment of George Roerich. Accordingly, they did not allow investigating these thefts in every possible way. The names of some persons and their positions are known, but, of course, neither the Ministry of Internal Affairs nor the Prosecutor’s Office decided to launch an investigation. Law enforcement officers are still under the authority of these dealers and serve their interests, instead of defending the law and order in the State. 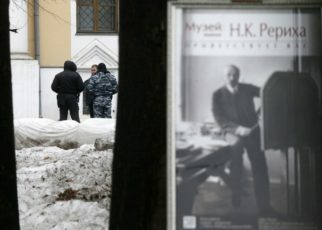 On February 12, the birthday of Helena Roerich, police inspectors came to the territory of the captured Lopoukhins’ Estate and confiscated 17 paintings of Nicholas Roerich from the collection of the organization against an alleged fine for failure to pay taxes for use of the paintings donated to the ICR in the museum activity. Among them, there were such iconic works as “Ienno Guio Dia – friend of travelers”, “Star of the Mother of the World”, “Confucius the Fair”, “The Last Atlantes”, and the others. All these are great plot-driven paintings of the Master, relating to the period of the heyday of his work. 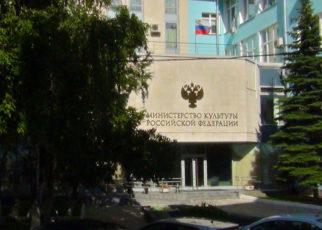 According to preliminary estimates, their total cost is much higher than the amount required from the organization and is more than 350,000,000 rubles. In other words, several withdrawn paintings (even taking into account the unstable prices of the art market) can completely cover the debt of the ICR, which currently amounts to 50,000,000 rubles, but the authorities arrested more than a dozen of paintings. 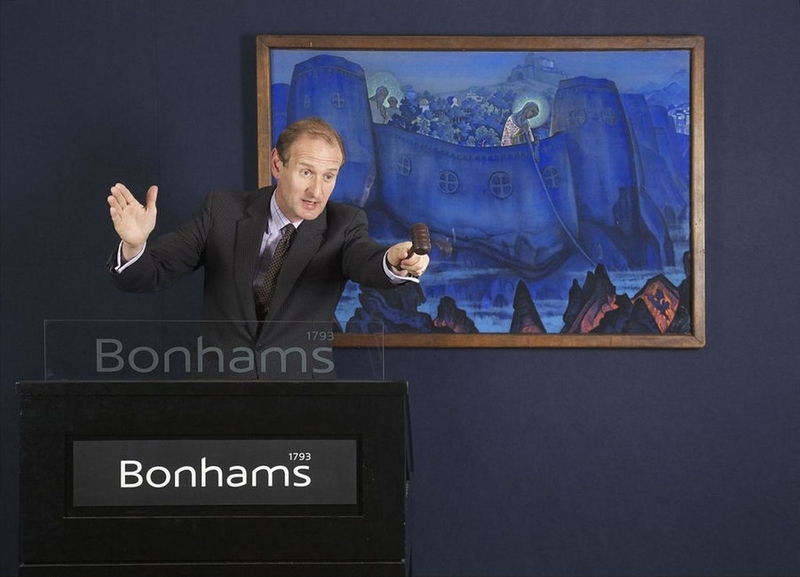 For comparison, another famous picture of Nicholas Roerich that of “Madonna Laboris” at the bidding process of auction house Bonhams in 2013 was sold for 7,880,000 pounds, which is more than 12 million dollars . It is known, that a rich Russian collector, who is close to the head of the State, purchased this painting. He did not give it to the museums, and now it is in a closed private collection, inaccessible to the ordinary spectators. 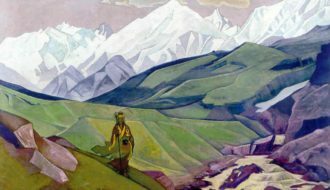 Pictures, purchased by patrons for the non-governmental Nicholas Roerich museum of the ICR, almost immediately fell into the Museum’s exposition and delighted hundreds of thousands of people who came to see the masterpieces returned to Russia. But now many of these paintings would suffer the same fate as the sold work. 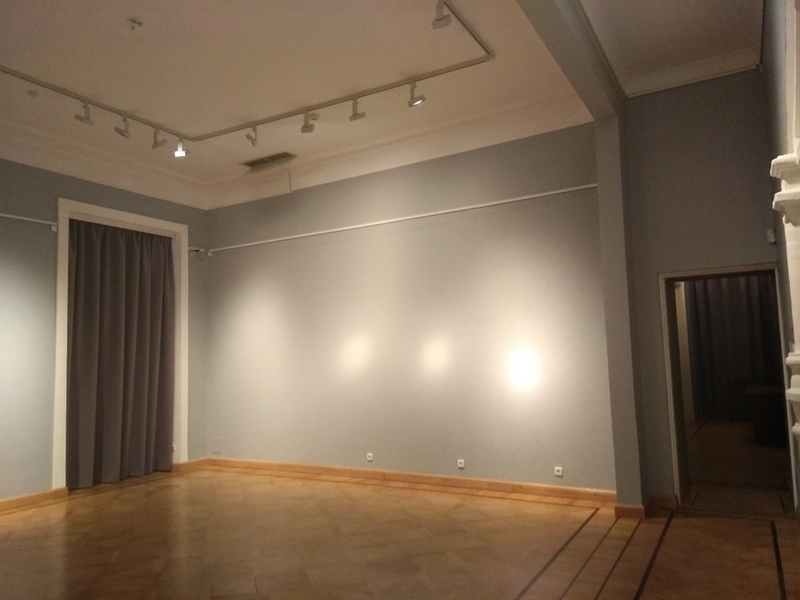 It is noteworthy that the Ministry of Culture, under a far-fetched pretext, flatly refused to register these pictures in the non-state part of the Museum Fund of the Russian Federation, although the ICR insisted on their recording for a long time. Apparently, the officials expected that unprotected and unrecorded pictures would be much more useful for their purposes. 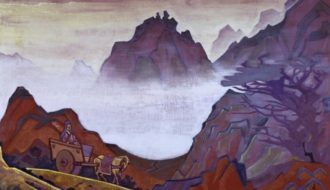 The tax authorities have already stated that after the assessment the withdrawn paintings of Nicholas Roerich will be put up for auction. And if the amount exceeds the ICR’s debt, the remaining money will be returned to the organization. The cynicism of the law enforcement officials is amazing! The center, as well as numerous admirers of the Roerichs, need no money, but pictures. 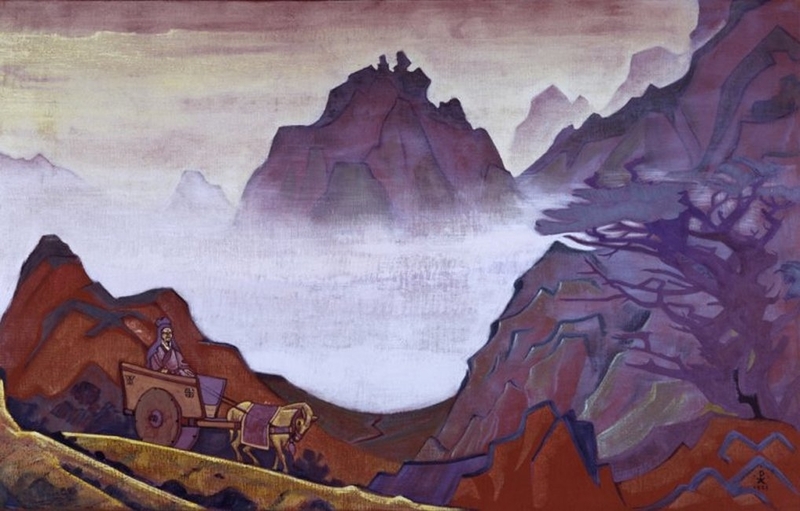 The ICR have already been addressed more than once with proposals to sell some of Nicholas Roerich’s works, it was promised at that a quiet and comfortable life. However, Lyudmila Shaposhnikova, a confidant of Svetoslav Roerich, saw that as a betrayal. This loss is also intolerable to the Museum workers. In addition, according to eyewitnesses, some paintings were treated barbarously, the invaders tried to wrap tempera painting in Kraftpaper. 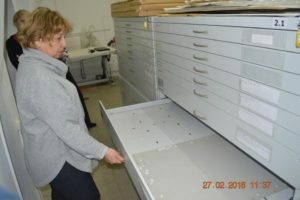 By this, the head of the new branch of the State Museum of Oriental Art Tigran Mkrtychev and its staff, who actually organized this procedure, were failing to express the slightest note of concern. Only the ICR’s representatives insisted on packing the pictures properly. 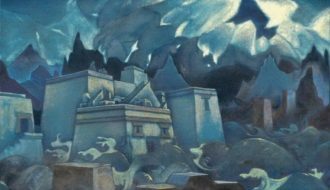 It is not difficult to predict how events will unfold having witnessed such an indifferent attitude of the leadership of the State Museum of Oriental Art to the paintings of Nicholas Roerich. According to the comments of experienced lawyers, the well-known criminal “kickback” scheme is to be launched. 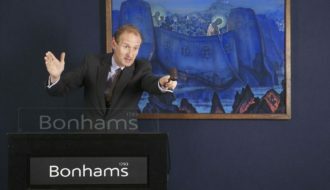 Invited appraisers will repeatedly underestimate the real value of the seized artworks, and the paintings will be transferred to their new owners at a record low price, as it was with our enterprises, real estates, lands, companies, etc. 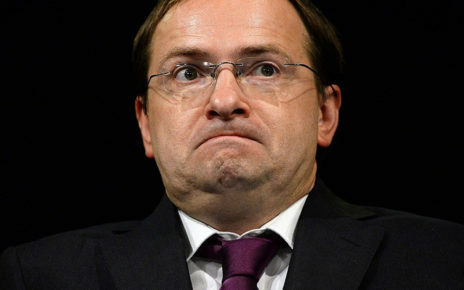 Someone will get a good “kickback” for this scam, others will get more modest dividends, the Russian state will again incur large financial losses, but ordinary Russians will incur even more significant losses, since spiritual losses cannot be measured by money, they are less noticeable, though turn into incalculable disasters of moral disintegration of citizens. 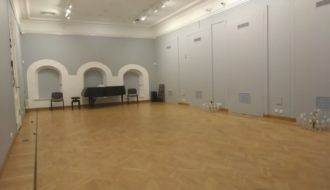 Earlier, even before the events described, tax officials on the same occasion already arrested an expensive grand piano of the non-governmental Museum, the equipment of the depository and the light equipment of exhibition halls. All this was transferred to the State Museum of Oriental Art for a storage. For those who are familiar with the situation, it is clear that these “modest dividends” have been received by the “new-build” branch for their own needs and out of fear that they are to return this equipment to the staff of the ICR, since it is a part of this organization’s property. But all these facts are only the “tip of the iceberg” of the tragedy that is about to happen. Remember that on March 7-8, 2017 the investigation department seized about 200 works of the Roerichs, their fate is still unknown. 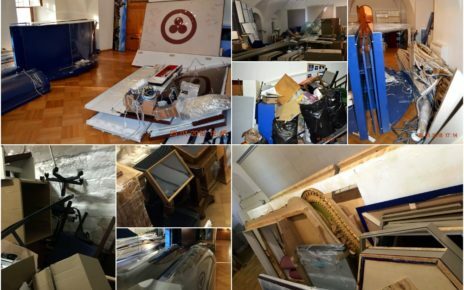 Moreover, it was established that the entire Roerich heritage, handed over to the ICR by Svetoslav Roerich and captured by the State Museum of Oriental Art on April 28-29, 2017, also disappeared from the Lopoukhins’ Estate. 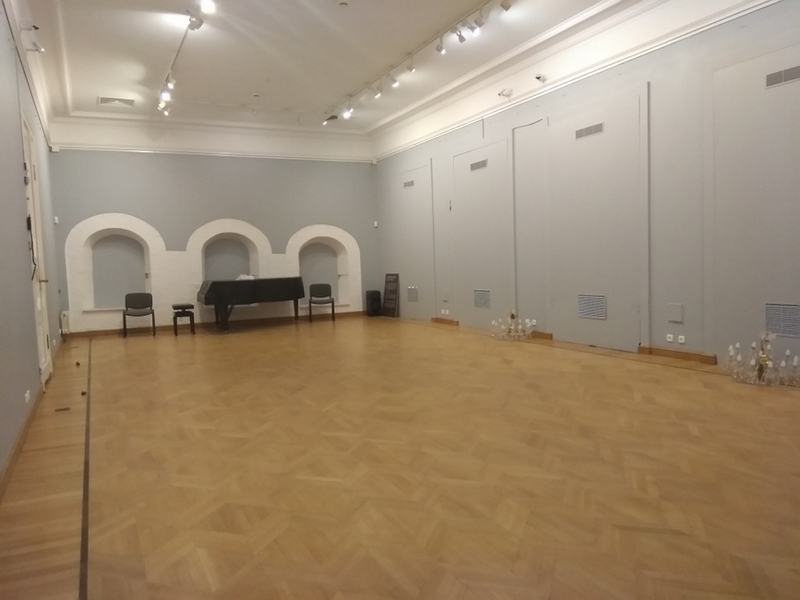 When the staff of the ICR, together with the bailiffs, finally got access to the depository of the non-governmental Museum, where the Roerich funds were actually stored before the capture, it was empty, the Roerich funds were removed to an unknown destination. Multiple appeals to the Ministry of Culture, including those of human rights organizations, with a demand to provide evidence of the Roerichs’ heritage existence and its integrity have failed. High-ranking officials flatly refused to inform the public about this. Archival materials disappeared together with the paintings of the Roerichs. The ICR workers have discovered in various places the traces of barbaric treatment of valuable documents. So, in one of the offices, they have found several papers from George Roerich apartment archive, but all the most important materials were gone. As for Lyudmila Shaposhnikova’s archive, there were only cardboard boxes in which the archive was kept. In one of the basement rooms, the remains of the ICR documentation and the empty folders from the Manuscript Department were piled up in a heap. How did it all turn out to be in different rooms? Where are the most valuable documents of the archives in question? Who worked with the archives? 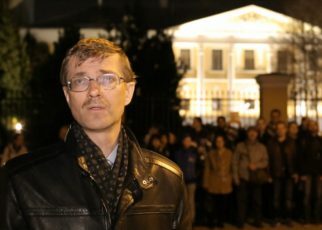 Tigran Mkrtychev preferred not to answer these questions, but hastily locked and sealed the doors to conceal the traces of one more crime of the State Museum of Oriental Art. In general, such behavior of Tigran Mkrtychev is quite remarkable. All his answers to the awkward questions of independent correspondents or the ICR workers are reduced to the fact that he does not have a clue about anything and is not in charge for anything. In other words, the newly made director, who should be held responsible for all that is happening in the institution entrusted to him, tries by all means to avoid the responsibility. Mkrtychev’s behavior is quite understandable. He is just scared, for he realizes that those whose will he is now performing, if something happens, will sacrifice him without any hesitation, accusing him of embezzlement and thefts. 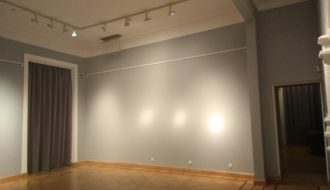 Thus, because of this unprecedented blatant injustice towards the non-governmental Nicholas Roerich museum, we have today an empty building with mutilated gray halls, the absence of museum funds and the director, that of Tigran Mkrtychev, who is not in charge for anything here! The Ministry of Culture and the State Museum of Oriental Art proudly call all this the State Museum of the Roerich family. Remember that the capture of the Lopoukhins’ estate in the spring of 2017 was explained by the Ministry of Culture with its concern that the ICR because of its huge fine would decide to sell the paintings of the Roerichs. However, all these allegations against the ICR turned out to be a lie. And what is happening now? This situation has once again demonstrated that the officials of the Ministry of Culture deceive the public and, stating that they return the Roerichs’ heritage from the supposedly private possession to people, in fact, forward it from the general access to closed collections of wealthy collectors. In front of everyone a terrible tragedy is now developing. 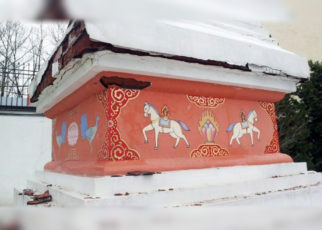 Consequently, Russians can lose the remaining part of the precious heritage of the Roerichs, which was brought so painstakingly to the homeland by Lyudmila Shaposhnikova. The ICR staff is almost single-handedly fighting the bureaucratic arbitrariness. It is for this they want to destroy the organization. But what about all the others? I remember that earlier, when the Soviet Union had just discovered the wonderful world of the Roerichs, people were standing in line for hours to see the Master’s paintings. 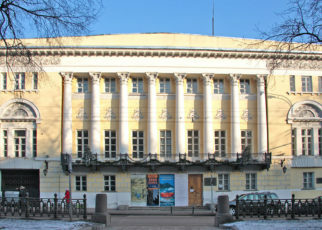 People admired the works of Nicholas and Svetoslav Roerich, many of them later came to the non-governmental museum created by Svetoslav Roerich. There were representatives of scientific and cultural elite among those who spoke at its solemn events, gave the gifts, and wrote rave reviews. Now they are observing, calmly and indifferently, how a huge collection of Roerichs’ paintings disappears from the cultural field. “But who did we work for? 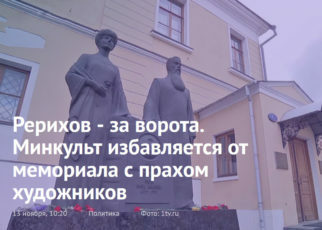 Was it for some strangers?” Nicholas Roerich asked and gave a convincing answer, “No, it was for our dear Russian nation that we went through the thick and thin. … It was for the Russian people that we worked, bringing them both knowledge and achievements.” Are the Russians going to answer him with betrayal? It is to be hoped that shame and conscience wake up in hearts of thinking and creative people. 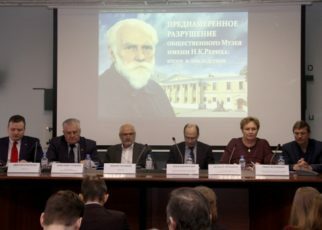 Academician Dmitry Likhachev considered shame to be one of the main features of a true member of the intelligentsia and the people, in Likhachev’s own words, will be worthy of Russian Culture.